This is an example of an attachment that we engineered specifically to meet a customer's needs. This a stationary cross slide mill on a 3/4" RA8 Acme Gridley in the 5th position. 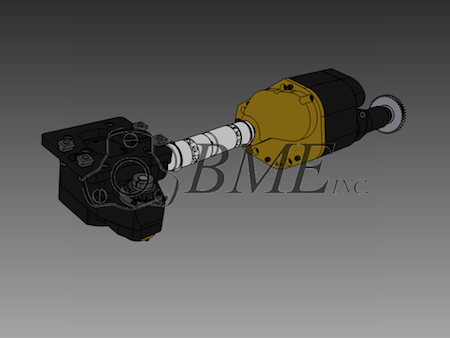 It uses a different transmission box than our other attachments and makes an isolated cut parallel to the part. If you need an engineering solution, give us a call! We stand behind our products and will build any attachment to suit your needs!